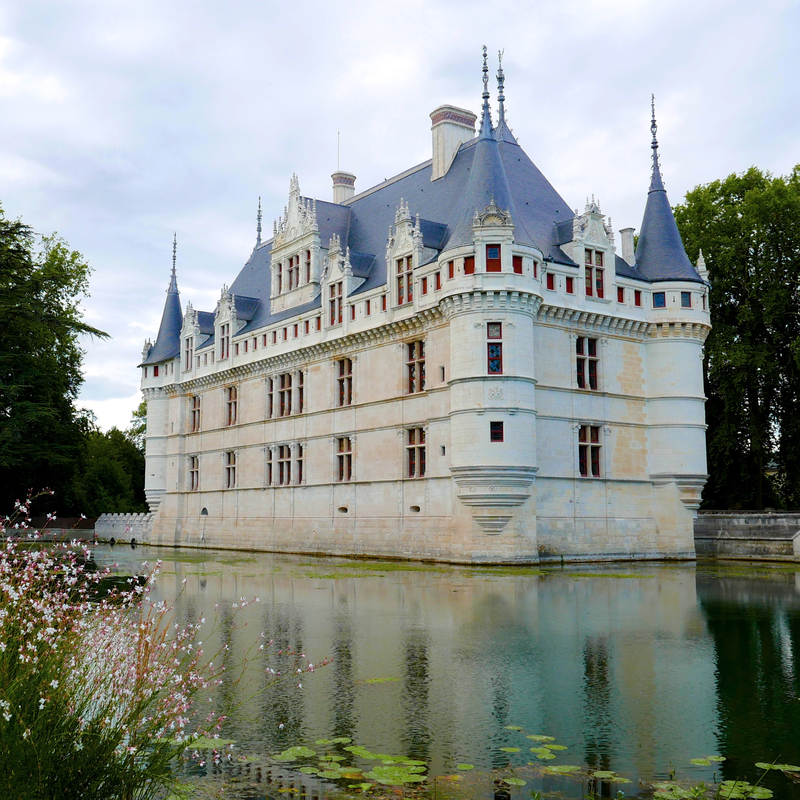 Azay is a true Renaissance gem, its finesse makes it look like a little ornament floating on the water. The fact that it is built on one of the Indre’s little islands makes it less of a defensive castle and more of an invitation to wander and marvel. One can easily sense the Italian architectural influences, especially when studying the stairs, which feature strait railing – a novelty at the time – and loggias/lodges that distinguish themselves from the other windows. The Italian influence also appears in the choice of decorations, which are opulent, rich and unique. I believe there are enough canopy beds to accommodate Snow White, Sleeping Beauty and all their friends. Everything here reminds me of fairy tales: the little towers, the high roofs, the machicolations, the water. The setting is dreamlike and Azay is, without any doubt, my favourite castle.